The University of Utah in collaboration with USDA Labs in Corvallis, OR performed five field campaigns in commercial vineyards in Oregon’s Willamette Valley. Among the methodologies developed over the five-years experiment was the use of fluorescent microsheres as a fungal spore analog. 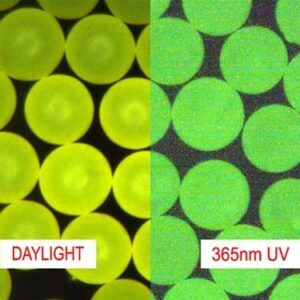 The microspheres used were inert fluorescing polyethylene micropsheres in four separate colors manufactured by Cospheric. Yelena Lipovetskaya, the CEO and co-founder of Cospheric LLC, the leading global supplier of precision spherical particles, was recently interviewed on 805conversations podcast which features engaging talks with leaders and thinkers in the 805 region in California. In this podcast, Yelena talks about the company, the foundations, and the path forward. Yelena answers a lot of challenging and informative questions on what is a microsphere, what are the applications and numerous fields of science and technology they are used in, and how precision microspheres enable breakthroughs in so many ways. I recently attended the 12th International Symposium on Particle Image Velocimetry in Busan, Korea on behalf of Cospheric, a company that specializes in precision microspheres. With the hope of learning more about seeding particles involved in PIV research and what advancements in microsphere technology would benefit the work being done in flow visualization. Through conversations with many attendees I was able to gather information on some of the important factors involved in tracer particle and their ideal capabilities. An interesting addition to seeding particles brought up by several individuals was temperature sensitive spheres which could potentially provide temperature field information. 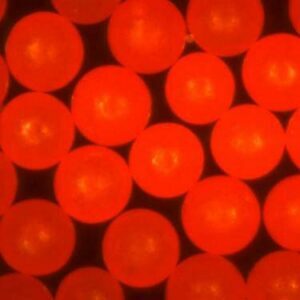 Below is an example of neutrally buoyant microspheres which are used as flow tracers in PIV applications. The venue, Haeundae Grand Hotel, was spectacular with multiple large halls available for the over 200 presentations. The surrounding city was a maze of markets and skyscrapers nestled between the mountains and coast. Wonderful weather graced us, even rivaling that of Santa Barbara. Which was not something I had considered possible. I had the pleasure and displeasure of trying many unique foods. With bibimbap from a shop near the beach and shrimp dumplings from a small business steeped in the steam used to cook their dumplings being definite highlights. While the eel which I am still unsure whether was cooked or not falling on the other side of the spectrum. I am still processing the wealth of information from ISPIV 2017 and will express my conclusions as it manages to leak from my head.